THE POPULARITY of the Social Democrats has slipped noticeably on the eve of the parliamentary elections held in Finland on Sunday, 14 April, indicates the latest opinion poll commissioned by Alma Media. Alma Media on Monday reported that popular support for the opposition party has fallen by 1.7 percentage points to 19.6 per cent since February. The Social Democratic Party, however, remains clearly the most supported political party in the country, following a drop of 1.1 percentage points – to 17.0 per cent – also in support for the National Coalition. If the poll results were replicated next Sunday, the parliamentary elections would be the first in history where no party won more than 20 per cent of votes. The third major change at the top of the poll was the increase of 2.2 percentage points in popular support recorded by the Finns Party (13.4%), which came in fourth narrowly ahead of the Green League (13.3%). The right-wing opposition party has now improved its performance in the poll for several months, having polled only slightly above the eight per cent-mark last November. The Finns Party appears to be receiving a late surge in support especially from blue-collar voters who have previously voted for the Social Democrats, analysed Jussi Westinen, a social scientist at E2 Research. “The Finns Party’s message has hit home with certain groups of voters teetering between the Social Democrats and Finns Party,” he commented on Monday. The Centre Party, meanwhile, recorded an up-tick of 0.6 percentage points in popular support and is currently projected to win 14.7 per cent of the vote. The Green League and Left Alliance both saw their popularity increase by 0.1 percentage points, to 13.4 and 9.1 per cent respectively, whereas the Swedish People’s Party and Blue Reform fell by 0.2 and 0.3 percentage points to 3.9 and 2.0 per cent, respectively. The Christian Democrats stood pat at 4.1 per cent, according to Alma Media. 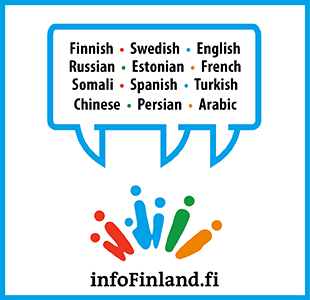 A total of 1,201 people responded to the poll conducted between 25 March and 3 April by Tietoykkönen.